The GoFly Prize is a $2 million challenge to create a personal flying machine that is useful, safe and thrilling. The GoFly creators are re-imagining flight, transportation and exploration through the lens of safely and reliably soaring through the skies, and are doing it for everyone. The competition’s goal is to foster the development of a safe, quiet, ultra-compact, near-VTOL personal flying device capable of flying 20 miles while carrying a single person. Recent advances in propulsion, energy, light-weight materials, and control and stability systems have combined to produce a moment of achievable innovation. Technological and scientific advances have resulted in a time when our most audacious dream—the dream of pure human flight—is now achievable. 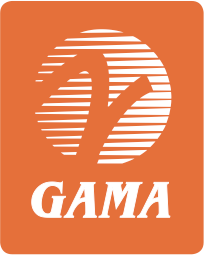 In partnership with GoFly, GAMA is calling on the world’s greatest thinkers, designers, engineers, and builders to challenge themselves and change the future. There are also opportunities to become an official GoFly Mentor and work directly with the teams in your area of expertise. You can also follow along for competition updates at goflyprize.com, Facebook or Twitter.